According to NFU Mutual’s 2018 rural crime report, the cost of rural crime in the UK has hit £44.5 million in 2017, with a 13.4% increase compared to that of 2016. Meanwhile, crime in rural and off-grid sites is also increasing at its fasting rate since 2010. With off-grid security cameras, luckily you are able to enjoy peace of mind in remote cabins, camps and even boats where power outlets and the Internet may not reach. To better protect your properties in remote areas, dive in and learn how to choose and set up the best off-grid security systems without power supply and network connection. Off-grid security cameras, as keen guards, are able to watch over your property when you are away from your cabins, camps and yachts. In fact, these CCTV cameras come with more benefits that you may be unaware of. With off-grid security cameras for boats, camps and cabins, you are able to secure rural home and properties when you are absent and receive instant alerts when someone attempts to intrude. 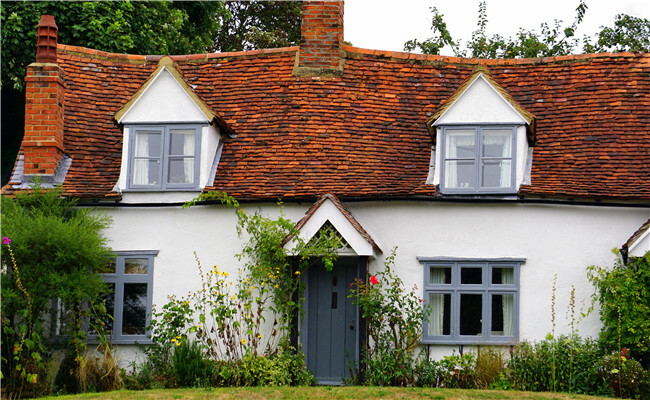 The rural crime report also points out that off-grid CCTV cameras are the most common security measure to beef up security in offline properties. And they are effective as well: such security cameras can reduce break-ins by about 72%, according to the trails in Aberdeen. Two thieves entered a rural property when the owner was far away. However, they didn’t know they were caught on a security camera and ended up being caught by the police soon. Off-grid security cameras are standalone security devices that work with independent power sources, such as batteries or solar energy. In other words, such IP cameras will continue to protect your off the grid sites during a power outage and even artificial power cuts caused by thieves or other intruders, which make them reliable options for the isolated camps and cabins. By installing off-grid security systems in offline properties, you can reduce the dependence on the local power grid, lower the electric bills and save money. Moreover, this type of wireless off-grid security cameras for sale are generally featured with plug & play so that you won’t have to spend on the installation and cable management. Without a doubt, solar energy is a renewable and eco-friendly resource. Nowadays, off the grid solar-powered security cameras are popular among customers and they will be a future trend as well. That is because using such security cameras will do the minimum harms to the environment and it is also a way to live a healthy and green lifestyle. When choosing off-grid security cameras for remote areas, you may be limited by the availability of power source and network connection. And now let’s start from the first situation: the network connection is available in your campsites, cabins and other remote places but you don’t have nearly power sources there. Security cameras with solar panels shall top the list of off-grid security cameras for remote areas where the power supply is not available. Under this circumstance, these CCTV cameras are capable to capture images and send instant alerts when detecting motion events. Supposed that you visit the cabins frequently or just camp for a couple of days, battery-powered IP cameras shall meet your short-term security needs as well. Compared to that, solar-powered security cameras with non-stop power like Reolink Argus® 2 are more flexible options when you can’t get back to isolated cabins or rural home until months later. 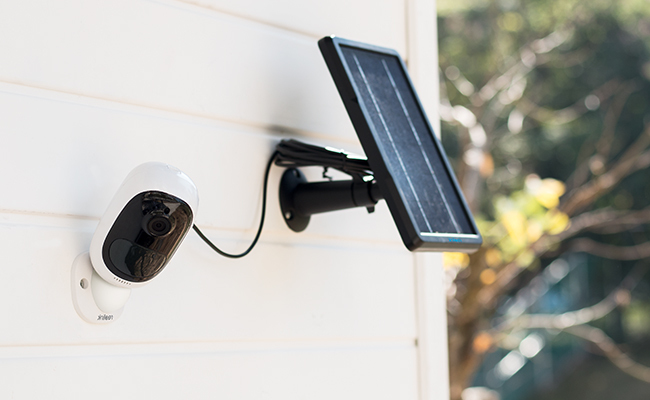 With connected solar panels, these off-grid security camera systems will charge themselves before their rechargeable batteries drain and stop charging when the batteries are full. Therefore, you don’t have to worry about the power shortage without your conscious. 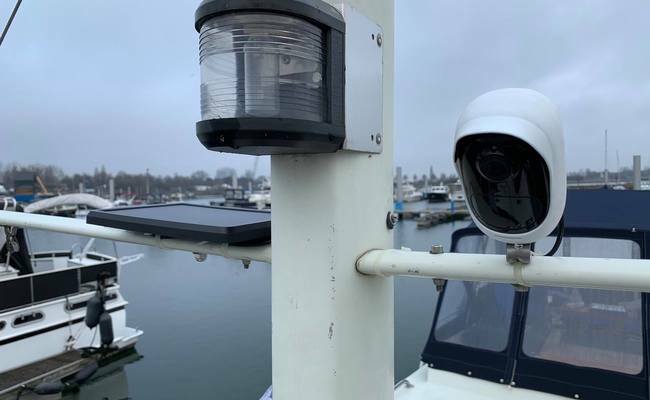 A Reolink user Sven has already put that into practice – installing the solar-powered Reolink Argus® Pro, a sister product of Argus 2, to secure his yacht. It looks great! Aside from the all-in-one solar-powered IP cameras, you can also solar power off-grid wireless security cameras on your own. If you are interested in this DIY project, you may take the tutorial offered by Open Green Energy as a reference and learn how to do so. However, it won’t be an easy task. You have to purchase all the components and deal with the complicated power supply issues concerning voltage stability and DC-AC converting before setting up the DIY solar-powered off-grid IP cameras successfully. Another option is to power the off-grid security camera systems with battery banks installed in your off-grid properties. Still, powering off-grid home security cameras with battery banks will cost you much, with a price tag of over $4,000. Also, it is a professional knowledge and skill-demanding task to set up battery banks (i.e. the power rating must be the same as that required by your CCTV cameras). Takeaway: For better understanding, we have made a chart below to compare the three solutions above in details. Though the last two options are practical in theory, it requires professional knowledge and also more expenses. So, if you are not professionals or DIY enthusiasts with sufficient budget, it is best to install the off-grid security cameras with solar panels in your remote properties. As noted above, you can choose solar-powered off-grid security cameras if there are no power sources. So when the situation becomes harsher, with no power supply and network connection, are there are any self-supporting off-line security cameras that may work? Game cameras, cellular trail cameras and cellular security cameras, these off-grid IP cameras in fact refer to the same thing: security cameras with 4G service. More specifically, this type of CCTV cameras is designed to meet the security needs for hunting, camping and living in remote areas where power supply and network may not reach. 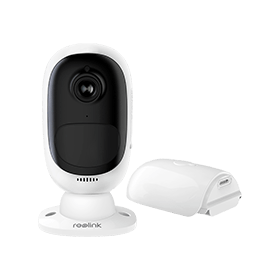 Such solar-powered off-grid cellular security cameras for sale like Reolink Go fit in such cases perfectly – they can be powered by solar panels and transmit data with cellular data. Below is a video sample captured by Reolink Go, which monitors the horses in an off-line stable. Put it simply: You are able to access the off-grid security cameras remotely and receive instant alerts with no concerns about the power drainage. In addition to installing 4G wireless security cameras for off-grid areas, you may also set up the network connection on your own in places where both power sources and internet are not available. To do so, you may purchase a portable 4G WiFi router or utilize the hotspots from your cellphones, which can be a little more complicated than using 4G cameras solely. Note that the 4G WiFi routers require data plans (sim cards) before running remote solar cameras properly. Takeaway: We have made a simple comparison on the three solutions above based on their basic elements and price for your reference. As you can see, it would be complicated to operate off-grid security cameras with 4G WiFi router or cellphone hotspots. On the contrary, standalone solar-powered 4G security cameras are more flexible in installation and come with less requirements and lower price. We have also collected some of the frequently asked questions on off-grid security cameras and offered our solutions here. Question 1. Can You Set Up Off-Grid Security Cameras If There Is No Network & Cellular Service Coverage? If there is no network connection or cellular service available in your installation spots, you can also store the recordings off-grid security cameras locally to SD cards. However, without network connection, you will sacrifice some of the features like remote viewing and instant alerts. Mind that the recording stored at the SD cards will hit the upper limits and previous recordings can be overwritten. To better save the recordings, you can back up the recordings by copying them to your computers or Cloud from time to time. Question2. How Much Data Does an Off-Gird Cellular Security Camera Consume? 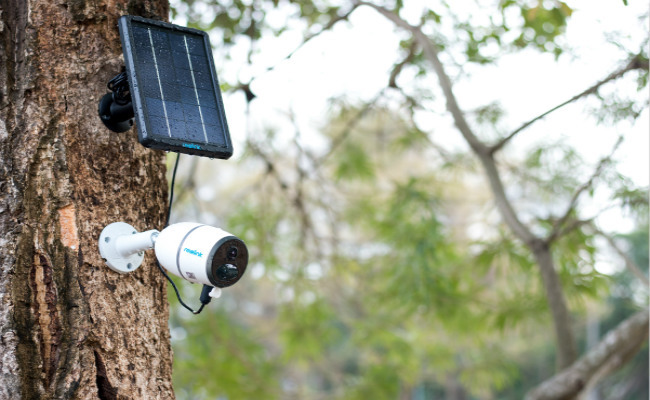 The data that an off-grid solar-powered cellular security camera consumes depends on multiple factors, including its default bitrate, live viewing duration and frequencies and so on. 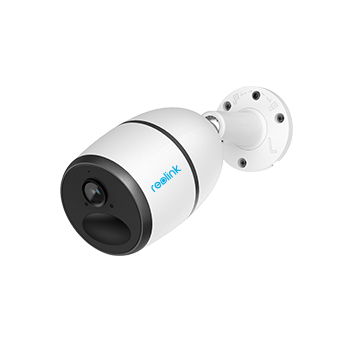 Taking the solar-powered cellular security camera Reolink Go as an example, its default bitrate is 1.5Mbps (for the mainstream, up to 2Mbps) and 160kbps (for the substream, up to 512kbps). Supposed that you access this remote solar camera for live view in mainstream for about 1 minute a day (or in substreams for 12-15 minutes per day), you will need a data plan with around 1GB data monthly. Takeaway: You may check here to learn how to maximize the data usage of 4G off-grid security cameras. Now we would like to hear from you! Do you have any new ideas or concerns about off-grid security cameras? Please let us know by leaving your comment below. This entry was posted in Buyer's Guide and tagged off-grid properties, offline campsites, remote property security, secure cabins in the woods.